The author of Bird Box is working with a local company to bring his latest works to the screen. 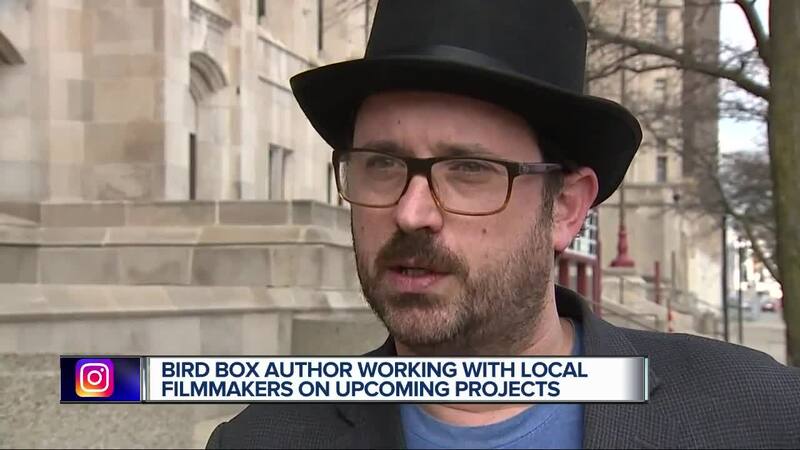 DETROIT (WXYZ-TV) — Josh Malerman is most widely known for writing the 2014 novel "Bird Box," which was adapted by Netflix and took off in 2018. Now, the Ferndale native is teaming up with two Detroit filmmakers to bring other projects to the big screen. Malerman is working with Atlas Industries, a film and production company led by Sean O'Grady and Bill Stertz in Southfield, to turn his novel "Black Mad Wheel" into a movie. The team is also partnering with Scott Free Productions out of Los Angeles. O'Grady, an MSU graduate who recently moved back to Detroit after spending years in Los Angeles, met Malerman prior to the release of "Bird Box" on Netflix. The two met through a friend, who introduced them because they both loved the horror genre. “That project started with one guy in a room in Detroit pouring his brain out onto a piece of paper. And it ended up in 40 million homes in a week via Netflix, and I think we want to try and replicate that," O'Grady told 7 Action News. "Black Mad Wheel" was published in 2017. "It's about a rock band from Detroit," Malerman said. The Ferndale native also wrote a screenplay called "Only Children," which the team intends to turn into a film featuring local elements. O'Grady said keeping the money local is also important to the team, despite no longer having access to some state tax credits for shooting here. “We want to use as much Michigan funding as possible for that and really make sure that it’s a project that sees the current boom in independent film impact the state." Malerman wrote a sequel to "Bird Box," called "Malorie," which is expected to be out October of this year. As for his local film projects, both "Black Mad Wheel" and "Only Children" remain in the scripting phase, but portions of the projects will be shot in Detroit. O'Grady said "Only Children" could start production by late summer.